When you're in a hurry, deadlines are tight and everything seems urgent, you need your business cards fast. That's why Cards Made Easy provide a speedy time critical service that doesn't cost you the earth. As with other premium services, you pay a little extra for the 24 hour turnaround, but delivery is quick, we don't compromise our high standards and you'll receive your cards the next day throughout most of the UK. Select one of the Express Options at the checkout, or call Cards Made Easy on 0845 166 4478 to begin your urgent order. Matt 340gsm, Gloss 350gsm, Laminated 360gsm and more. Same Day, Next Day and 24 hour services available. Our designers are here to check your order. To place an order for our next day business card service, select one of the express options at the checkout screen. You can choose Express Courier or the Collection option. Alternatively, call us on 0845 166 4478. You can also request a same day printing quotation via email or here. Note: Please be aware that it is not possible to select the Express Options for more complicated cards, such as those with Raised Ink or Foiling. Same day printing, next day delivery. 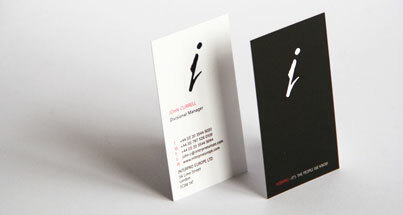 We print your business cards on the same day and deliver them the next day*. The entire print and delivery process is completed within 24 hours, and if your business is located in London, we can print and deliver your cards on the same day. That's fast! Guaranteed London & UK delivery in 24 hours. 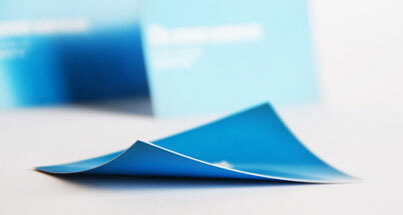 Cards Made Easy offers a 24 hour printing service for your business card order. We print and ship within 24 hours to London and throughout the UK. If you need your cards fast, for a business meeting or event, please get in touch. * Our next day service refers to working days (Monday - Friday) only. We can offer a Saturday delivery service, but this is only available by requesting a quote via email/phone. Please ensure that you are able to approve the proof that will be sent to your email without delay to ensure we are able to print and despatch your item on time.